Serving pizza and other American favorites in Washington Heights. Great stuffed pizza! Was huge and worth the price. Good flavor, and was like eating a calzone in pizza form with plenty for leftovers or a big party! Garlic knots are good, on the smaller side, but gave us 1 extra likely because they run small. Thank you! The pizza is prepared and cooked to perfection! Each of us who ate a slice said the same thing, "Best pizza I've ever had!" The only place I'll ever order pizza from again!! Very fast delivery, less then 20 minutes! I ordered the chicken roll with garlic knots and zeppoles. I'd never had zeppoles before, and honestly I didn't know what they were but #yolo. The chicken roll was outstanding, and had at least 37 pounds of cheese on it, and the sides of marinara were of respectable, not those thimble sized cups you get from other places. Would definitely order from here again...hopefully not tonight, I might die of cheese overload, but there are worse ways to die. Amirite? I am a vegetarian who can't have dairy, but they made me an awesome cheeseless veggie pizza. The toppings and crust were so good I didn't miss the cheese. The garlic knots are solid as well. Also, aparently the way they do buffalo chicken wings is by coating the chicken in sauce and then deep frying it. So it comes out more like fried chicken. They will aparently make it the traditional way if you ask them to though. Best customer service! I ordered 3 sodas but only received 1. Immediately called George's and they had the delivery person go to the corner store to buy sodas and bring those to us! I was amazed. Never had another restaurant do that, usually they just offer a refund but then you're stuck with no drinks. This was fantastic service! Their pizza is also sooooooooo delicious, it's the only shop we order pizza from. I just moved here a few months ago and have been baffled about how awful the pizza is in Washington Heights ... like embarrassingly awful ! But then like a beacon of light from the heavens this place happened to my life and made me the happiest little girl in all the land! PIZZA WAS SPOT ON ! I urge you to have a life changing experience like me and devour this pizza! You can thank me later! I've ordered from this place about 8 times now. And each time I've ordered, they delivered earlier than the promised time, the food was hot, the order was correct, nothing was spilled and the food was delicious. Their prices are very reasonable considering the huge portions you get. I kinda love this place. Come in and meet Travis the owner of George's Pizza. Hemet, California, for mouthwatering gourmet pizza and sub sandwiches. From cheese pizza to the famous Fiesta Pizza, Hot Wings and the signature Meatball Sub Sandwich. 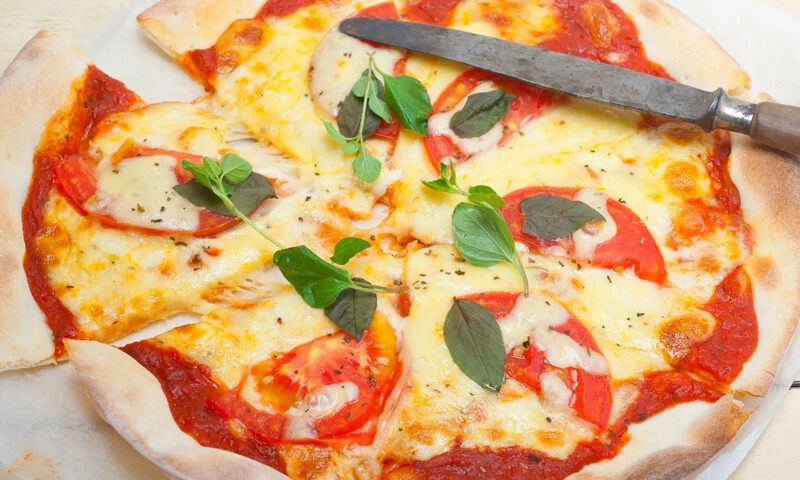 George's Pizza offers an excellent selection of authentic Italian food at highly competitive prices. With over10 years of experience in the business, our friendly and knowledgeable staff provides outstanding customer service and satisfaction guaranteed! Whether you're craving a quick bite or looking to treat yourself to a delicious meal, you can now order your George's Pizza favorites for takeout or delivery.